If you like green, blue, brown, pink in fact any colour at all then we can do this for you at no extra cost and in the best products on the market to suit all choices. 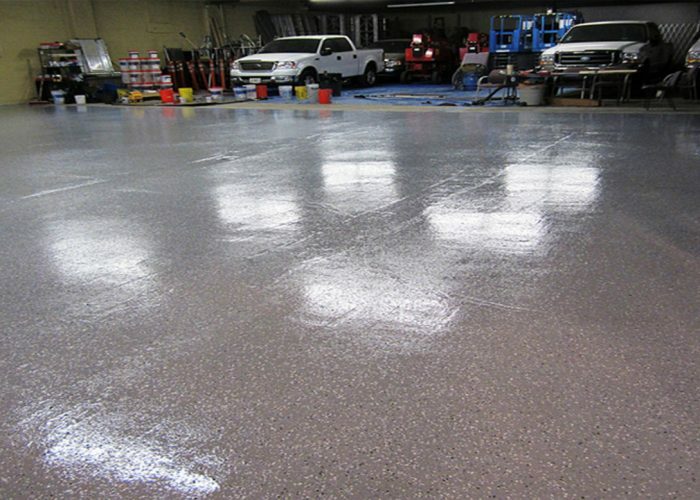 We supply and install epoxy floor paints and polyurethane paints for clients who want a painted finish rather than a clear coating which can show up any defects in the concrete – such as chip repairs, nail hole repairs and old oil stains all of which can be unsightly. For preparation we include any patch and crack repairs [using an epoxy filler] and then a light grind to get a smooth clean finish ready for painting after washing and vacuuming any residue. In addition we can also fill the expansion joints with a flexible joint sealant so that there is nowhere left for dirt to become trapped and accumulate whilst allowing the floor to expand and contract naturally with thermal variations. The finished product is completely seamless and looks so much better than leaving the expansion joint prominent. The first coat if applied the following day once the floor is completely dry and then we leave it to cure for 24hrs returning the next day to install the topcoat [which will also need 24hrs to cure before walking on it]. Allow another 24hrs [total72hrs] and you can park your car and put back all your cupboards and tools and rest knowing the coating will protect your floor for many years to come. If you like the look of terrazzo then we have our Flake Floor Range giving you almost endless possibilities in design; essentially Flake Flooring is a designer system based upon paint flakes broadcast into a base coat epoxy of a chosen colour followed by 2 x coats of polyurethane which makes it extremely hard wearing and suitable for internal and external applications both commercial and domestic. 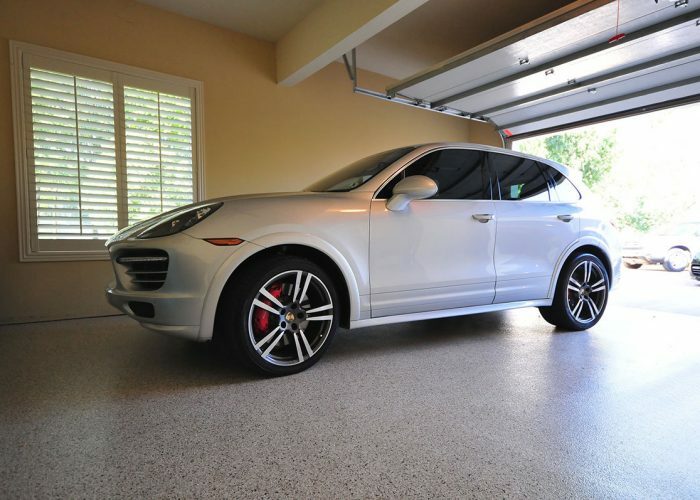 It can be used on driveways, garage floors, kitchen floors, wet areas, balconies, steps and in fact almost anywhere and its more than tough enough for vehicle traffic.